Editor’s note, 18 August 2010: This classic article is being republished after almost 17 years. Yet after all this time, it still is a fine overview of the big picture; subsequent developments indicated in editorial notes, the related articles (below), and the resources (right), merely reinforce the points. 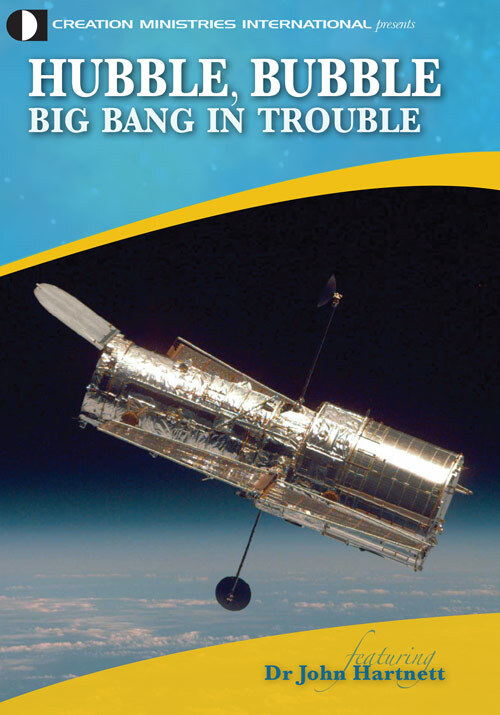 In the twentieth century, the first version of the ‘big bang’ as the explosion of a ‘primeval atom’ was put forward by Abbé Georges-Henri Lemaître in 1931.3 Lemaître already knew of Edwin Hubble’s work on the redshift of light from distant stars (which Hubble interpreted to mean that the universe is expanding) and, by extrapolating backwards in time, he postulated that the universe originated as a single particle of vast energy but near-zero radius.4 He argued (erroneously) that cosmic rays must have come from such an explosion. In 1946, one of the Manhattan Project (atomic bomb) scientists, George Gamow,5 postulated that a universal explosion lasting a few seconds could have produced all the elements we see today. This lost favour after about a decade, when calculations suggested that certain elements could form in stars. In 1965, a third version of the ‘big bang’ was put forward by Robert Dicke, P.J.E. Peebles and others, which appeared to receive some confirmation by the accidental discovery by Arno Penzias and Robert Wilson that the universe seemed to be uniformly filled with very even heat at a temperature of about 3 K.6 (K is the symbol for kelvin, the base unit of thermodynamic temperature.) This was interpreted as being the after-glow in the form of microwave radiation left over from a huge initial explosion.7 When Sir Fred Hoyle calculated that a ‘big bang’ would produce only light elements (notably helium, deuterium, and lithium), it seemed established as the origin of the universe. In the next 20 years, thousands of papers supporting the ‘big bang’ were produced and virtually no papers challenging it were accepted. It became inconceivable that the ‘big bang’ theory could be wrong, and entire careers in cosmology have been built on the presumption that the ‘big bang’ was fact. One of the predictions of the ‘big bang’ is that it would produce large amounts of helium, and, in fact, the galaxies contain about 24 per cent of helium. 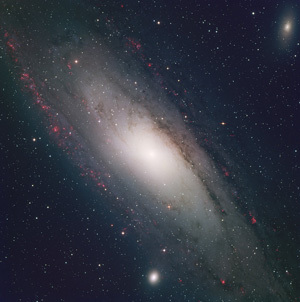 However, calculations have shown that the detected matter in the universe is only about 1 per cent of the amount required to produce the gravitational attraction needed to form all the galaxies and clumps of galaxies, even within the vast time span of a hypothetical 15 billion years. This problem was solved with a stroke of the pen. In the early 1980s, cosmological theoreticians decided that the universe was now made up of nearly 99 per cent of ‘cold dark matter’ (CDM)—necessarily ‘dark’ because no one has ever seen it or detected it, and up to 99 times the amount of the visible matter in the universe. This CDM could not be composed of detectable elements like hydrogen and helium, so hypothetical particles were said to exist, with names like ‘WIMPS’ (weakly interacting massive particles) and ‘axions’. ‘Big Bang Proved!’ trumpeted the headlines. But is it? This background radiation cannot be invoked as conclusive proof of the ‘big bang’, as there are a number of other explanations for it. When Stephen Hawking read about this, he worked out a set of mathematical equations reversing the direction in time, so that the collapse into a black hole became instead an expansion from a black hole. In 1970 he published a joint paper with Penrose, supposedly ‘proving’ that the universe had begun from a ‘big bang singularity provided only that general relativity is correct and the universe contains as much matter as we observe’.15 Since then, Hawking has been trying to deduce a mathematical formula to explain the electromagnetic, nuclear, and gravitational forces in the universe in one ‘grand unified theory’ or GUT, ‘concise enough to be inscribed on a T-shirt’! What happened before the ‘big bang’? How did nothing become something and then explode? Paul Davies’ answer is that it happened through quantum physics applied to cosmology. He says, ‘This “quantum cosmology” provides a loophole for the universe to, so to speak, spring into existence from nothing, without violating any laws of physics.’18 This is very significant, as it shows the fallibility of theistic evolution. Theistic evolutionists often urge what is in effect retreat to a ‘God of the gaps’ idea. God is invoked as necessary to create the initial particle and to ‘light the fuse’ as it were—thereafter the rest can evolve more or less by itself. However, Hawking says his new theory has no moment of creation and requires no Creator. Where does this leave theistic evolutionary compromise? So this, more or less, is the current ‘big bang’ theory—that some 15 billion years ago, at a specific moment before which there was no before, the entire cosmos created itself by suddenly evolving out of nothing by means of a quantum fluctuation, first as a particle of space/time of zero dimensions and infinite heat,19 which proceeded in a few trillion-trillionths of a second to pass through an inflationary stage, and then through an incredibly hot ‘big bang’ stage, followed by universal expansion and cooling into its present form. The main rationale for this particular ‘big bang’ scenario is a set of mathematical equations deduced by human reason alone. What should Bible-believing Christians think about all this and believe? There are certain contra facts which are indisputable, and certain principles that Christians should always use in evaluating naturalistic theories about origins. Not all scientists agree with the concept of the ‘big bang’; in fact, many have never supported it. [Ed. 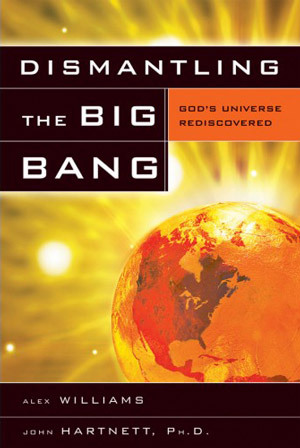 note, 2010: see Secular scientists blast the big bang, about ‘Big bang theory busted by 33 top scientists’ (2005), with many more signing this statement] There have been other non-biblical theories about the origin of the universe put forward in modern times—the main ones being the ‘steady state’ theory and the ‘plasma’ theory. No one has ever seen the universe expanding; expansion is an interpretation of the redshift. 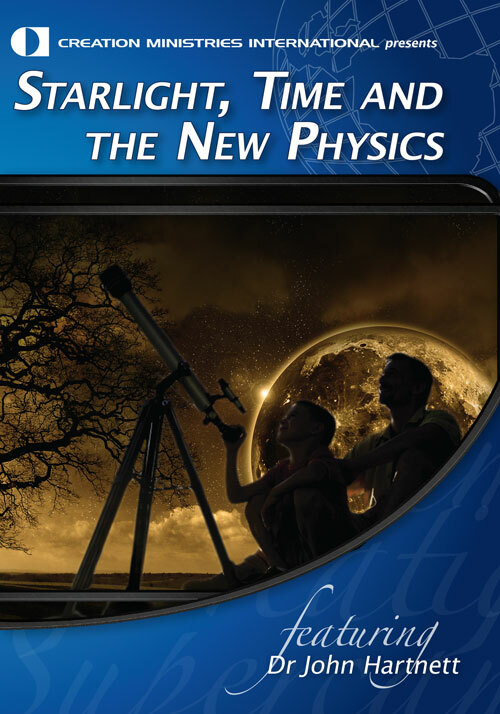 These two theories postulate virtually an infinite age for the universe, both past and future. This rather neatly does away with God both as Creator at one end and as Judge at the other, and thus has some rather obvious advantages for atheists. The ‘big bang’ scenario involves tremendous (even infinite) energy at the beginning, but supplies no explanation for the source of this energy. Nor is it clear how the gravity of the initial universal black hole can be overcome by a ‘quantum fluctuation’. Jargon like this seems to be part of an expanding vocabulary of ‘big-bang-speak’, masking some formidable, if not insuperable, difficulties. There is also no convincing explanation as to why an outward spray of gas radiating from the ‘big bang’ should form galaxies, stars, and planets. There are other explanations for the abundance of helium in the universe. Eric Lerner (op. cit.) happily weaves it into the plasma theory. Bible-believing Christians understand that God created it that way. To believe that the known universe was once condensed into a point of zero dimensions takes an unimaginable leap of faith; in fact, much more faith than it takes to believe that God created everything in the way He says He did in Genesis. The ‘big bang’ is a major part of the ‘creation myth’ of the Western nations’ major religion—secular humanism. Did God create by means of the ‘big bang’ or provide the initial energy to kick off the ‘big bang’? No! It contradicts the biblical cosmogony. The order of events is different—for example, this theory claims that the sun existed long before the earth, whereas Genesis says the earth was created before the sun. Furthermore, the time-frame is quite different (refer Exodus 20:11). Also, we have seen that Hawking, Davies et al. would repudiate any such threat to the self-creating power of their evolutionary universe.27 It is sad indeed that theistic evolutionists (including some who would deny such a title) are urging Christians to say Yes. Any theory that dispenses with the true God is itself not true and will not stand the test of time. Although Hawking and Davies say that ’What happened before the “big bang”?’ is a non-question, Christians understand that God always existed before He created the universe, and He always was and still is now transcendent to this universe, because He ‘inhabiteth eternity’ (Isaiah 57:15). Christians are able to experience immediate spiritual contact now through prayer with this transcendent holy God. Any theory of origins that is contrary to the early chapters of Genesis, Exodus 20:11; 31:17, and the many other references in the Bible that ascribe creation to the work of God, is not true and will not stand the test of time, no matter how well it is promoted by humanistic educational institutions. In taking the above attitude, are Christians in danger of repeating the error of the seventeenth-century Church when it opposed Galileo for suggesting a heliocentric (sun-centred) mechanism for our planetary system? Answer: No. Although the Church leaders in Galileo’s day mistakenly thought that the Bible supported the Greek idea of a geocentric (earth-centred) system, there was nothing intrinsically anti-Creator about Galileo’s idea that the earth moved. By contrast, the ‘big bang’ and all other theories of origins that are based on human philosophies attempt to say how the universe made itself by its own processes and properties, and with no supernatural input. Christians do not need Hawking’s elusive ‘grand unified theory’ of the universe to know the mind of God or to know who they are, why they exist, and where they are going. We already have access to the mind of God in the Bible. This tells us that through repentance and faith in the atoning work of Christ on the cross we become children of God, that we are here to worship and serve the living God, and that one day we who love God and have received His Son the Lord Jesus Christ will go to live with Him for ever. In fact, the ‘grand unified theory’ and the ‘theory of everything’ is the Bible! As matters stand at present, there is no better astronomic theory for the origin of the universe than the inspired explanation of the Bible. ‘In the beginning God created the heaven and the earth’ (Genesis 1:1). ‘By the word of the LORD were the heavens made; and all the host of them by the breath of His mouth … For He spake, and it was done; He commanded, and it stood fast’ (Psalm 33:6,9). ‘All things were made by Him, and without Him was not anything made that was made’ (John 1:3). Davies, P., The Mind of God, Penguin Books, London, 1992. This is a rather curious title for Davies to use (although no doubt very viable from a sales point of view), as on p. 191 he says, ‘Nor is it obvious to me that this postulated being who underpins the rationality of the world bears much relation to the personal God of religion, still less to the God of the Bible or the Koran.’ Return to text. Hawking, S.W., A Brief History of Time, Bantam Books, London, 1988. Return to text. Reported in Supplement to Nature 3234:699–706, October 1931. Return to text. See also Georges Lemaître, The Primeval Atom: An Essay on Cosmogony, Van Nostrand, New York, 1950. He sometimes referred to this as his fireworks theory of cosmology. Return to text. Gamow, G., One, two, three … infinity, The Viking Press, New York, 1949. Return to text. In due course refined to 2.736 Kelvin (i.e. 2.736 degrees above absolute zero), equivalent to-270.5°Celsius. Return to text. The basis for this assumption was that if the universe was expanding, light from any primordial ‘big bang’ explosion would be so greatly redshifted that it would appear now as microwave radiation. Return to text. Discovered in 1986, by Brent Tully of the University of Hawaii, and confirmed in 1990 by M. J. Geller and J. P. Huchra of the Harvard Centre for Astrophysics. Return to text. Silk, J., ‘Cosmology back to the beginning’, Nature 356:741–742, 30 April 1992 . For COBE team leader George Smoot’s comments, see Science 256:612, 1 May 1992. Return to text. Ruthen, R., ‘The Cosmic Microwave Mirage?’, Scientific American p. 15, October 1992. Ruthen quotes Krauss as saying, ‘One should not jump to the conclusion that what COBE is seeing is just density fluctuations. At least some or all of it might be gravitational waves.’ Return to text. For an up-to-date article on scientific speculation about gravity waves, see Marcia Bartusiak, ‘Gravity Wave Sky’, Discover 72–77, July 1993. Return to text. Sunyaev R. A. and Zeldovitch, Y.B., ‘Small-scale fluctuations of relic radiation’, Astrophysics and Space Science 7(1):3–19, 1970, quoted by Russell Humphreys in Impact, Institute for Creation Research, California, No. 233, November, 1992. Return to text. See also Narlikar, J.V., Introduction to Cosmology, Boston: Jones & Bartlett, pp. 190–91, 346–347, 457, 1983, quoted by Russell Humphreys in Impact, Institute for Creation Research, California, No. 233, November 1992. Return to text. Stephen Hawking defines a black hole as, ‘A region of space-time from which nothing, not even light, can escape, because gravity is so strong.’ And he defines the ‘big bang’ as, ‘The singularity at the beginning of the universe.’—Ref 2, p. 194. Return to text. Ibid, p. 54. Return to text. Davies, P., ‘Science, God and the Laws of the Universe’, ABC Radio 24 Hours, August 1992, p. 36–39. Return to text. Ref 2, p. 149. Return to text. Ref 16, p. 37. Return to text. Ref 2, p. 123. Return to text. Professor Burbidge claims the organizers of a recent international conference on astronomy refused to give him or his colleagues the chance to explain their work. He says, ‘Silence, that most potent form of scientific censorship, is already being employed.’—Robert Matthews in The Sunday Telegraph (London), reprinted in ‘Trio claims Big Bang is myth’, The West Australian (Perth), 19 April 1993, p. 3 of Earth 2000 Supplement. Return to text. Lerner, E., The Big Bang Never Happened, Times Books, Random House, New York, 1992, pp. 295 ff. Return to text. Beardsley, T., ‘Quantum Dissidents’, Scientific American 267(6):39–40, December 1992. Two British astronomers, Bruce N.G. Guthrie and William M. Napier, who investigated this in the belief that they would debunk it, report that they were ‘quite surprised to find the hypothesis held up’. Op. cit. 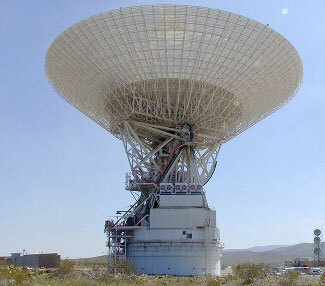 See also ‘News Notes’, Sky and Telescope, pp. 128–129, August 1992. Cf. B.N.G. Guthrie and W.M. Napier, ‘Evidence for red shift perodicity in nearby field galaxies’, Mon. Not. R. Astr. Soc. 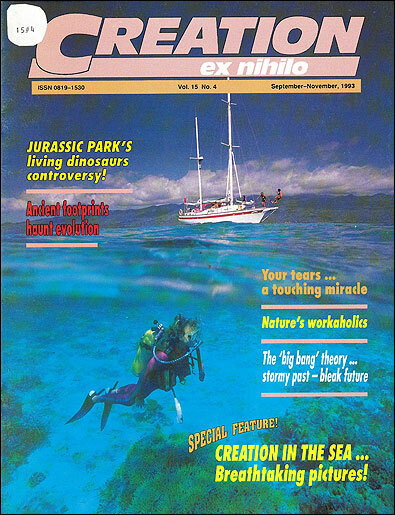 253:533–544, 1991; and Gribbin, J., ‘“Bunched” red shifts question cosmology’, New Scientist 1800: 21–28, December 1991. Return to text. 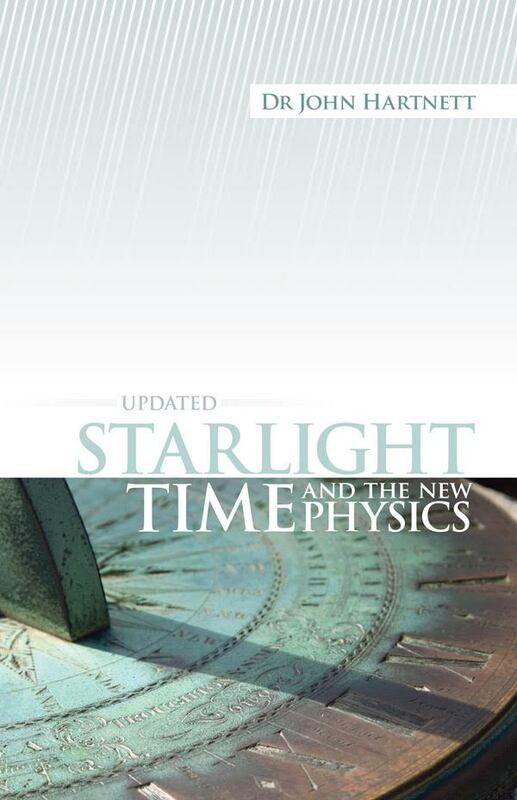 Croswell, K., Lithium-poor stars may question big bang, New Scientist 1845:16, 31 October 1992. Return to text. Editorial comment in New Scientist 1853:3, December 1992, p. 3. Return to text. Harris, M, ‘Stephen Hawking: Genius or Pretender’, in Focus on Science, The Weekend Australian, 4–5 July 1992, p. 19. Return to text. Efstathiou, G., ‘Beyond cosmic ripples’, New Scientist 1873:26–30, 1 May 1993. Return to text. See Ref 1, pp. 58–61, 68, 171. Return to text. Ref 1, pp. 15–16. Return to text. Ref 2, pp. 184–85; cf. Reference 1, p. 171. Return to text.